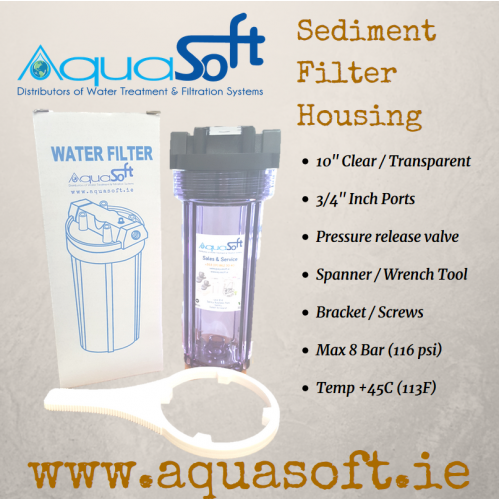 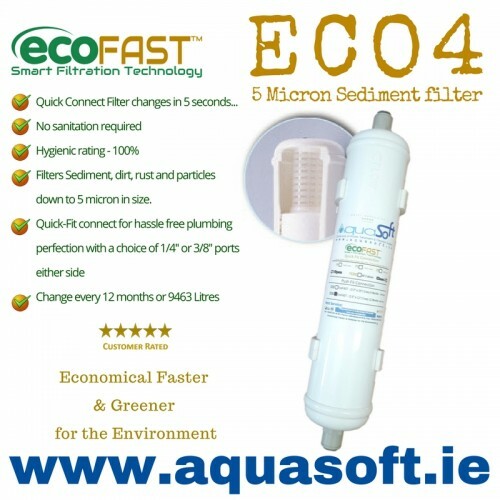 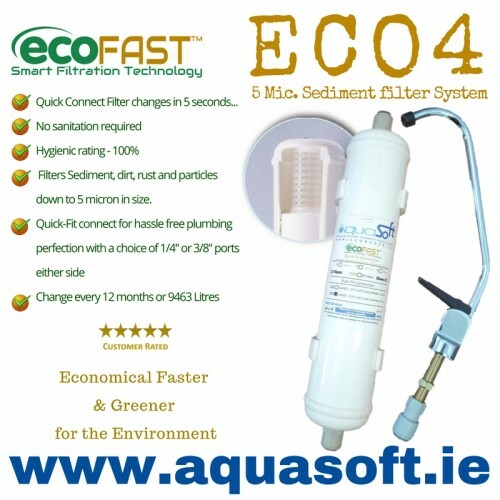 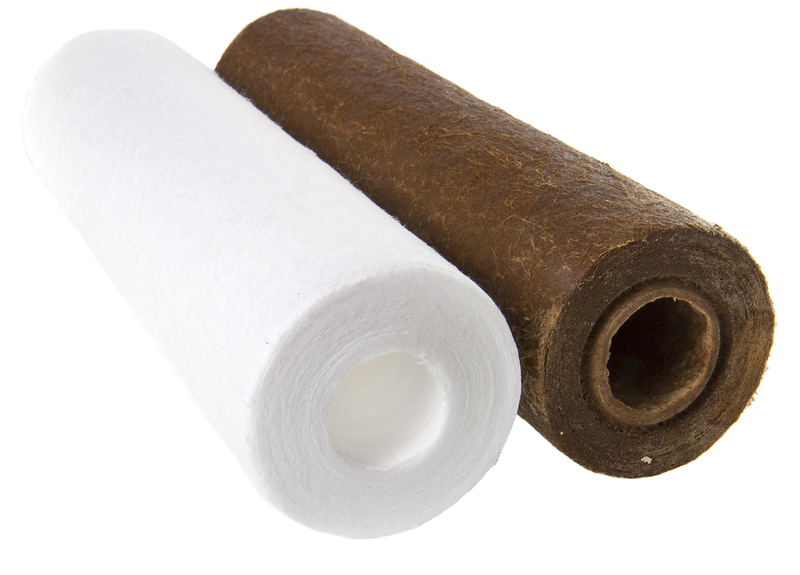 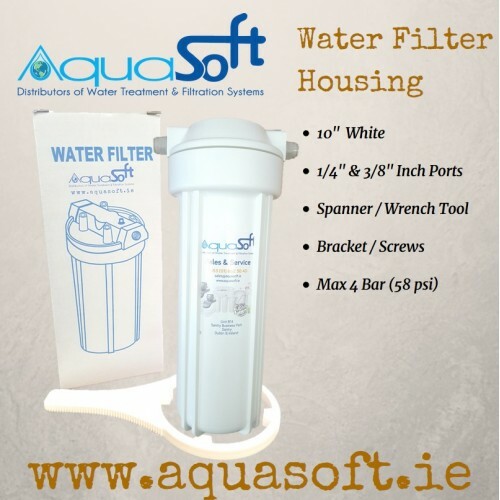 Aquasoft™ Ireland, Sediment Water filter systems trap particles, dirt and sand reduction on your mains supply as a pre-defense solution to water circuit blockages within a home or office environment. 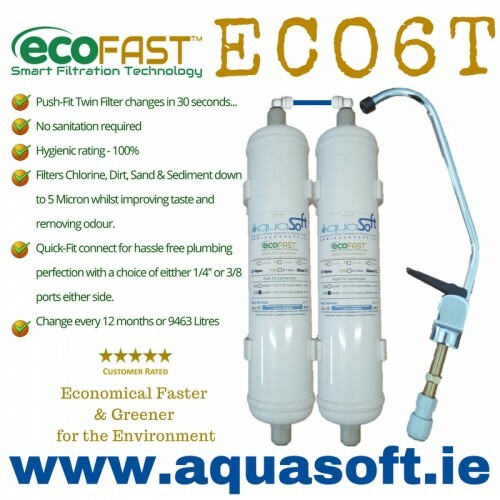 Very effective, quick and easy to install under-sink units for drinking water or on whole house mains connections. 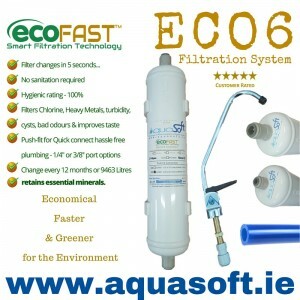 ECO6 Series Water Filtration System from EcoFAST™The EcoFAST™ ECO4 under-sink push fi..
ECO6 Series Water Filtration System from EcoFAST™The EcoFAST™ ECO6T under-sink push f..
Aquasoft® Sediment Filter Housing 10'' Clear with 3/4'' Inch female Ports either side.If you require..
Aquasoft™ Water Filter Housing 10'' White with 1/4'' or 3/8'' Inch Port optionsUsed on new Inst..
Aquasoft™ Ireland is a proud supplier of EcoFAST™ Push-fit Series easy change, h..